CLICK HERE TO PAY ONLINE NOW. 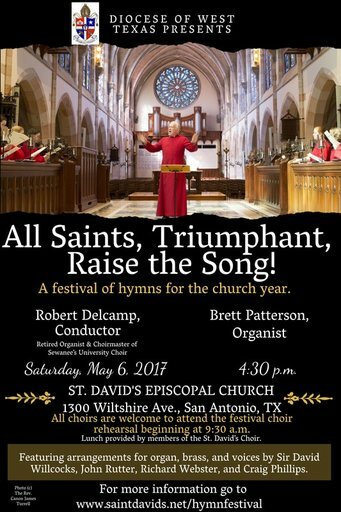 Registration is $10/person, which covers the cost of purchasing sufficient copies of the two choir anthems. If you or your choir has access to these already, please contact Ben Carlisle at benc@saintdavids.net for a reduced fee. ​Checks may be sent to St. David's Episcopal Church, 1300 Wiltshire Ave. San Antonio, TX 78209.